Hey loves! 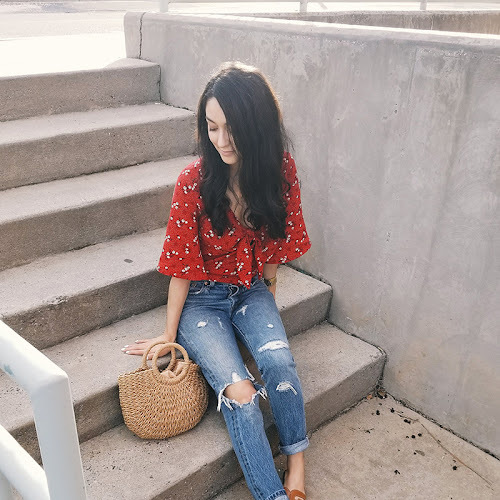 White jeans are a spring and summer staple for me but I love wearing them year round. I think they're especially great in winter when we tend to reach for darker colors more often. They brighten up a dark winter outfit so well. I have 3 tips to help you style your white jeans this winter. 1. Add some faux fur! If you've been reading my blog for a while you know I love faux fur, especially the vest I'm wearing. I got so much wear out of it last year that I ordered another vest this year (I'll show it to you guys later this week!). A little faux fur is a perfect way to add some texture and warmth to your winter looks. I bought mine from Madewell but this one or this one are super similar and both under $100. 2. Wear over the knee boots. In my last post (You can find it here.) I talked about how otk boots are a must-have for winter. If you don't already own a pair, trust me, you need them! They are so versatile and you can rock them even if you're only 5'2 like me. They go so well with white jeans whether you choose to go with classic black or opt for a lighter shade like taupe or grey. 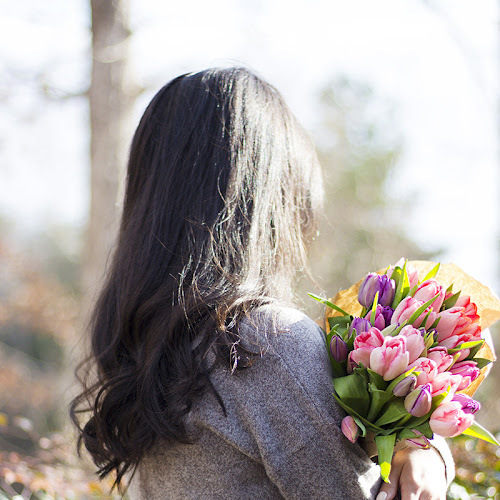 I love how Caitlin of Southern Curls and Pearls styled hers here. One tip I have for those of you with smaller legs is to look for a pair that's adjustable around the thigh. That way you can adjust the tightness & they're not constantly falling down your legs. This pair from Asos is super similar and is adjustable around the thigh (& they just went on sale!). 3. Layer up! When wearing your white jeans in winter you'll want to go for a layered look to add warmth and keep things interesting. Pick your softest cashmere sweater and then your warmest coat. Add a chunky beanie, and your favorite blanket scarf and you're done. You turned your summer staple into a winter favorite! If you still haven't found a good pair of white jeans, try these. They're marked down a good bit and Hudson jeans are super comfortable and stretchy. There you have it. 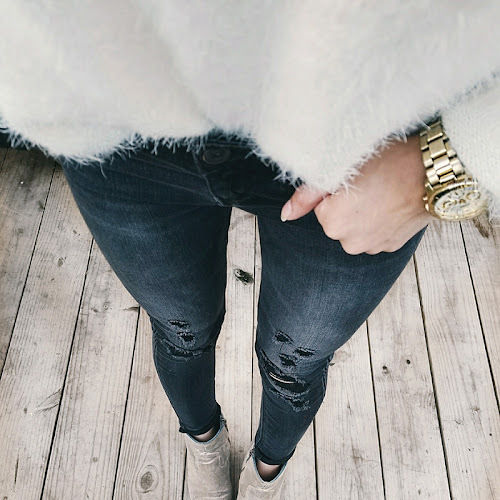 I hope you enjoyed my 3 tips on how to style your white jeans into winter! Awesome winter outfit! Great pair of jeans and love the black vest and boots!